We’d love your help. Let us know what’s wrong with this preview of My Son's Next Wife by Shelia E. Lipsey. To ask other readers questions about My Son's Next Wife, please sign up. 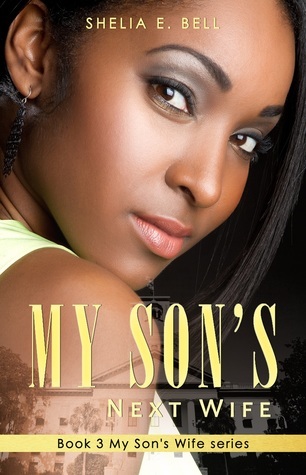 Book three of the "My Son's Wife" series picks up with Pastor Stiles Graham preparing his wedding to Detria. He's also dealing with the fact that his father had suffered his third stroke in as many years. New marriage, ailing parent, part-time college instructor plus full-time ministry equals stress, which leads to problems. Francesca, Stiles sister and his ex-wife's former lover, is battling health problems of her own, but suddenly finds herself on the receiving end of unconditional love…from a Book three of the "My Son's Wife" series picks up with Pastor Stiles Graham preparing his wedding to Detria. He's also dealing with the fact that his father had suffered his third stroke in as many years. New marriage, ailing parent, part-time college instructor plus full-time ministry equals stress, which leads to problems. Francesca, Stiles sister and his ex-wife's former lover, is battling health problems of her own, but suddenly finds herself on the receiving end of unconditional love…from a man! I enjoyed reading this I think which was the 3rd book in this series. This book highlighted forgiveness. Detria,who is Styles the pastor's wife,started abusing his elderly father. He lived with them and had a stroke and she tried to lift him while she was pregnant. She miscarried a week or so later and she blamed it on him. She ends up asking for his forgiveness and confessing it to her husband and going through the forgiveness thing with him too. I won't tell the whole story so read the book! From the lame title to the really bad writing, this book is probably the worst one I've read all year. Overall this was a quick fun summer read. The author explored a range of topics from abuse, loss, forgiveness, and love. I did find it weird that the adult children in the book called their father pastor, rather than his name. As people of faith, we understand the concept of faith but I like how the author presented it in a way that each of us would find difficult in walking out. This book wasngood. First Lady Audrey has passed on and now the family has begun what is becoming the new normal. Stile has decided to marry Detroit and we all know things don't stay happy for long. The devil comes a knocking. Read the book to find out who comes out on top. I love Shelia Lipsey books but for some reason this one...it was just an okay read for me. Detria, Stiles Graham's new wife, appeared to be the perfect wife and God sent but as you read midway--she is a whiny woman who would not let go and move forward. She is a young woman who can definitely have a fruitful of offspring. Yet, Shelia opened my eyes to see that woman can still have medical condition without carrying a child full-term. She covered other issues that are easily overlooked too like e I love Shelia Lipsey books but for some reason this one...it was just an okay read for me. Detria, Stiles Graham's new wife, appeared to be the perfect wife and God sent but as you read midway--she is a whiny woman who would not let go and move forward. She is a young woman who can definitely have a fruitful of offspring. Yet, Shelia opened my eyes to see that woman can still have medical condition without carrying a child full-term. She covered other issues that are easily overlooked too like elderly abuse, martial problems in the first few months of marriage, and how supportive your other half can be and rely on other people to overcome your problems. What irked me the most was Detria with her reasoning for her actions (you'll know when you read the book). She allowed her logical thinking and reasoning overtake how the Bible would view her reaction(s) whereas she didn't even confess to God nor turn to her husband for comfort/understanding. On the other hand, Rena aggravated me to a certain extent in her new love life but she pressed through without a doubt because of the love he confessed for her. My Son's Next wife by Shelia E. Lipsey introduces a different type of family issue. Stiles is remarried. Stiles and his wife is now taking care of his father. When a family tragedy impacts the family things take a slight turn for the worse. Stiles' wife starts to take her fustration and anger out on her father-in-law. This behavior, if found just might destroy the happy existence that Stiles has worked so hard to keep. This was the best book of the trilogy to me. The message about forgiveness is DEEP. If you are a child of God, it will make you stop and think about love and forgiveness. Books like this keeps you grounded in the word and if you come from a place of accountability and NOT victim, then you will check yourself. Another great novel in this series. I really enjoyed reading this one too. To be able to forgive like Pastor Graham forgave his daughter-in-law after she abused him was awesome. He was truly a man of God. I recommend all three books in this series. My son’s next wife is the third book in a series. Very good read. Looking forward to reading book four.